Hello Brides to-be! At Leissas our team understands how important your wedding day is to you. We want to make this long-planned journey just as eventful as all your wedding day plans you have made. We recommend any of our customized services to help you de-stress along the way and help you look beautiful and feel good. And don’t forget the groom as he can enjoy any of our special day services and treatments along with you. We look forward to assisting you and your bridesmaids, as well as any other special person that will be sharing your day. At Leissas we would be honored to make your wedding day come true. Prices vary according to length and thickness of hair. Contact us for details and pricing Hair cut included. Our pre-wedding Facial treatments for the bride and groom help beautiful, glowing skin emerge for the day of your wedding. Leissa's suggests 2-3 weeks of treatments before your wedding day. For a list of facial treatments and more info, visit our spa page here. Our "Photo-Ready" Spray Foundation is perfect for your special day. Blocking out shine, our spray cosmetic foundation gives you a flawless look that will make your skin look healthy and well rested for your wedding photos. 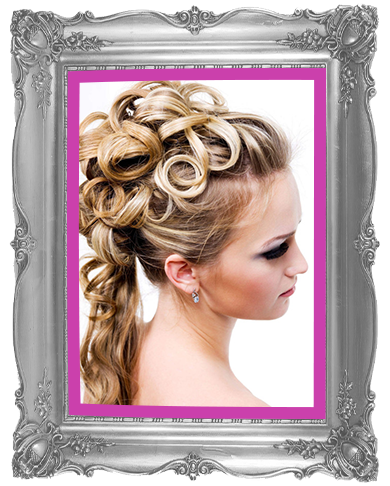 We also offer beautiful cosmetic applications from our style expert. A trained Aveda artist will create a beautiful, customized look for your special day: subtle or a look that reflects current trends. Stunning eyelash extensions are a great addition to a beautiful cosmetic look. Call for prices, 715-235-4700For more information about the use of eye lash extensions, visit our FAQ Page. Ask about our multiple waxing service discount packages! Click here to see all spa services. This service is a customized full body, assay followed by applying essential oils coupled with detoxifying mineral salts. The salts are then applied by relaxing esalen massage techniques to purify and exfoliate the skin. Remember your follow up body and skin care! Conclude this service with the Hydro whirlpool bath. This is what pampering is all about. Hydro Therapy Whirlpool is the state-of-the-art bath recommended before or after massage. This is designed for deep muscle and tissue treatment. This whirlpool is recommended for fatigue, relaxation, and tension due to injury, arthritis, fibromyalgia and many other conditions. Our private rooms provide personal bath, spa, hair care, and cosmetic products for your use. Click here for more spa services!